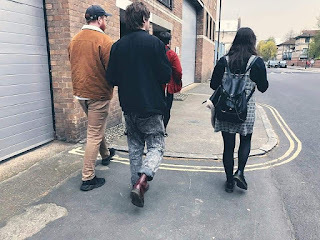 Unveiled last week (April 13), 'Sunken' is the latest from L I P S, the Falmouth, Cornwall indie jangle-poppers who follow previous singles 'Apartment' and 'Walls'. All three feature on the quartet's self-titled debut five-track EP, of woozy shoegaze combined with a dreampop undercurrent, which is out now via the Chicago-based label Sunday Records. The sub-five minute breezy 'Sunken' is helmed by the transcendant vocals of Rachel Anstis, complemented by layered instrumentation of 80s inspired, shimmering guitar melodies and gossamer fine percussion. Blissful. After March's little 'Suntrap' affair, Brighton's GURU bring some more sea air to 'Fixation'. 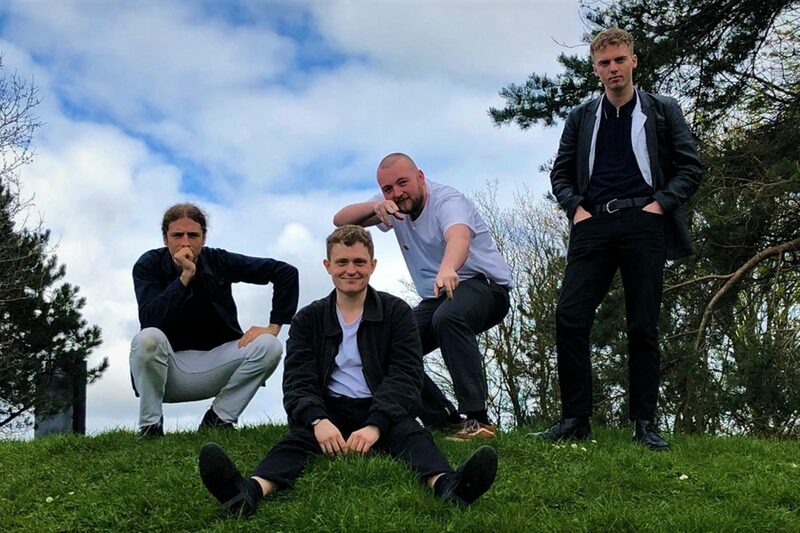 Produced by Margo Broom, the four-piece give it some more welly with a raucous delivery from Tommy Cherrill's tonsils, pounding riffs and full-on, mosh pit guaranteed delivery on this, their third release. And if you wanna hear it live, get down to The Green Door Store in Brighton tonight (April 23). Who do these remind you of? And if you happen to be psychic, who do they remind me of? I have it there (points to head), but it is just not surfacing. However, this Melbourne indie pop-rock four-piece - and Jared Roscioli's vocals especially - have a certain something that is very enjoyable, and familiar. Psychic Social Club, for this is they, have just unrolled this debut single called 'Worthless' (which it isn't one little bit!) which dropped yesterday (April 22). It has a jangly pop vibe that is underpinned by some ace bass and meaty drums... which reminds of? Broken Social Scene? Two Door Cinema Club? I'm enrolling in this club, whatever. 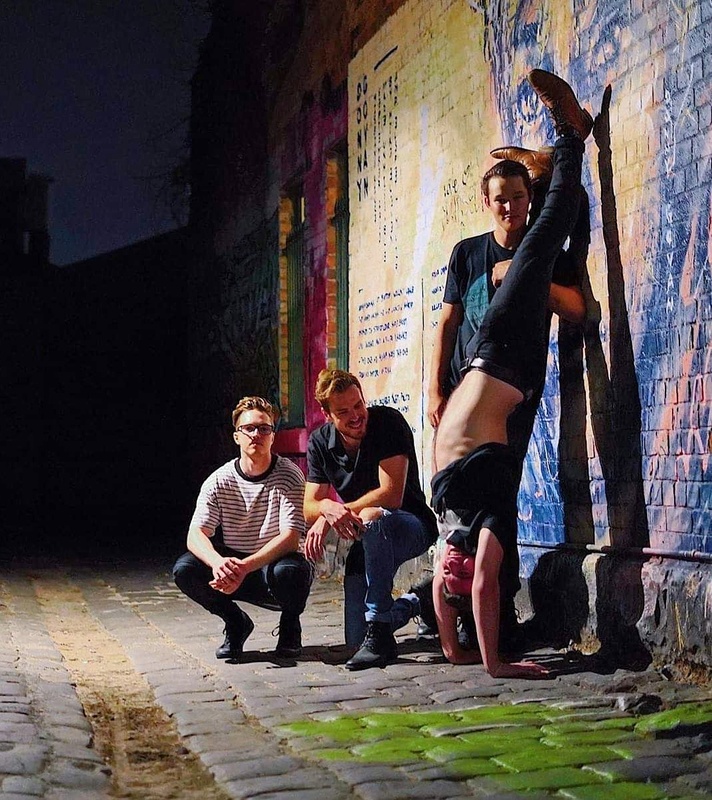 The band play a single launch show at The Catfish in Fitzroy, Victoria on April 26. 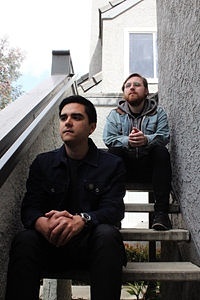 The San Diego, California two-piece Early Girls - Kyle Allen and Paul Parks - are going for the chilled dance vibe on new single 'Slumber'. The song - which appears to be their debut, unless previously hiding under another name - seems to take inspiration from the likes of The 1975, with lo-fi ripples cascading behind lo-fi beats and woozy, unadorned indie pop melodics. Florence + the Machine song have aired a new song on the latest episode of Game of Thrones. Flo's version of the show’s Ramin Djawadi-written 'Jenny of Oldstones' played over the closing credits. Florence is the only artist to be featured in the series' final season; their track 'Seven Devils' (from the band's 2011 LP 'Ceremonials') was used during the season two trailer.